Kids sessions every day of the week – there’s so much variety! It’s only natural to want your family to be active and healthy, that’s why David Lloyd Antwerp offer a huge range of activities that you can all enjoy both individually and together as a family. 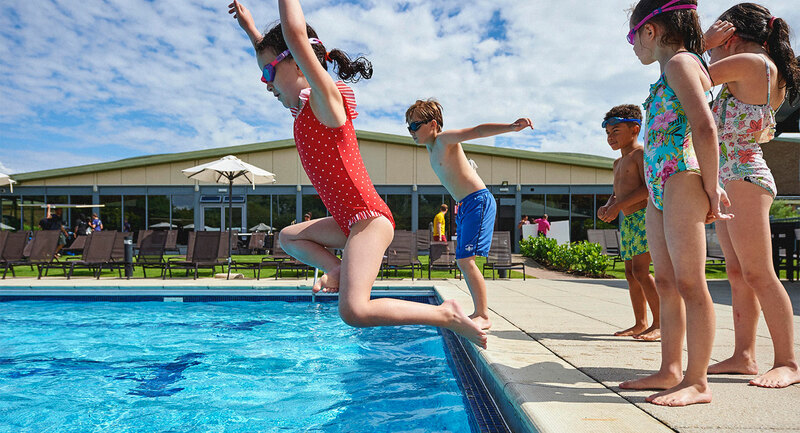 Spend a family day in your local club and have plenty of choice – go swimming, play tennis or eat in our DLicious cafebar. While the children enjoy our Kids Club you can take some time to relax in the spa or join a group class. The DL Kids programme here has an amazing range of activities that’ll keep your kids super busy and really happy in the club. The sessions are carefully timed so that they happen at the same time as the group exercise classes for adults, so you can all make the most of the club. From lovely sessions like Yoga for Kids, to Drum Fun, Make & Create and Mini Dance – your children will love giving them all a go. Want to see time fly? Spend a day here with your family. Our kids’ facilities here really are second to none, and we have loads of activities for all ages that they’ll just love. We have sessions for all ages from babies, right through to 15 year olds – there’s just so much choice. While you work out in the gym, the kids can play in our terrific DL Kids classes, or crèche, and they’ll love running around in on our soft play frame while you catch your breath and enjoy a coffee.